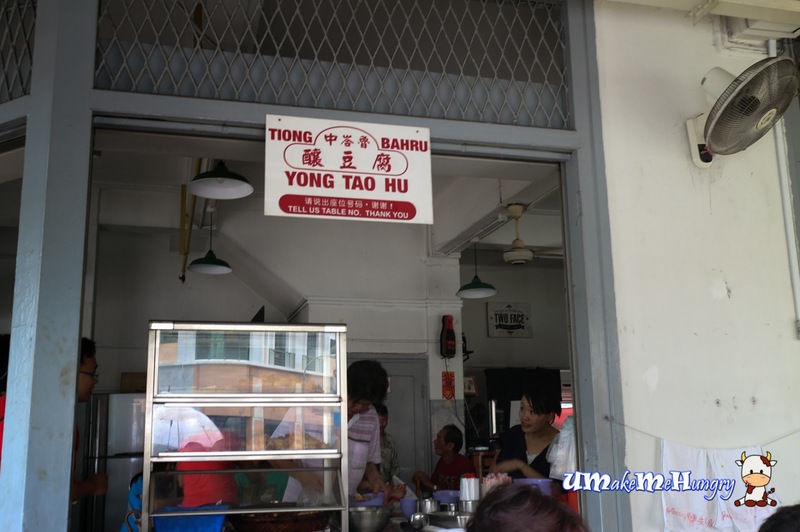 Located at the Junction of Eng Hoon Street and Tiong Poh Road, Tiong Bahru Yong Tao Hu is well seated in an old-school coffeeshop with its stall facing the road. The kind of environment that was not commonly seen and felt nowadays and having dine here on a public holiday makes me feel even more nostalgic. Old Style Coffeehouse filled with historical memories of the past. 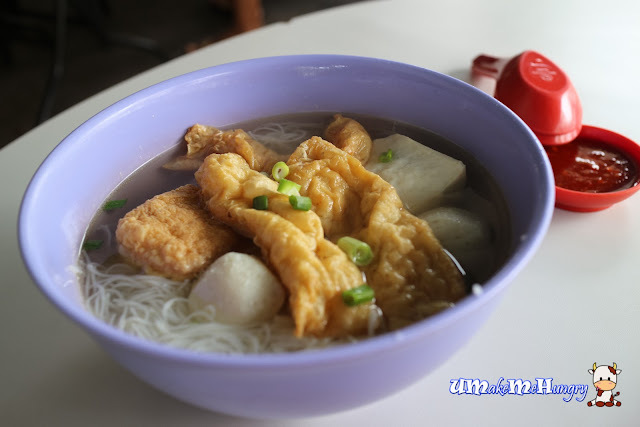 Available in four permutations, soup or dry, big ($4) or small ($3) with only a noodle option, Bee Hoon. This stall is worth going as the broth is light and flavorable, not oily. A perfect stomach warming bowl of hot piping soup for my breakfast on a rainy Hari Raya Haji morning. 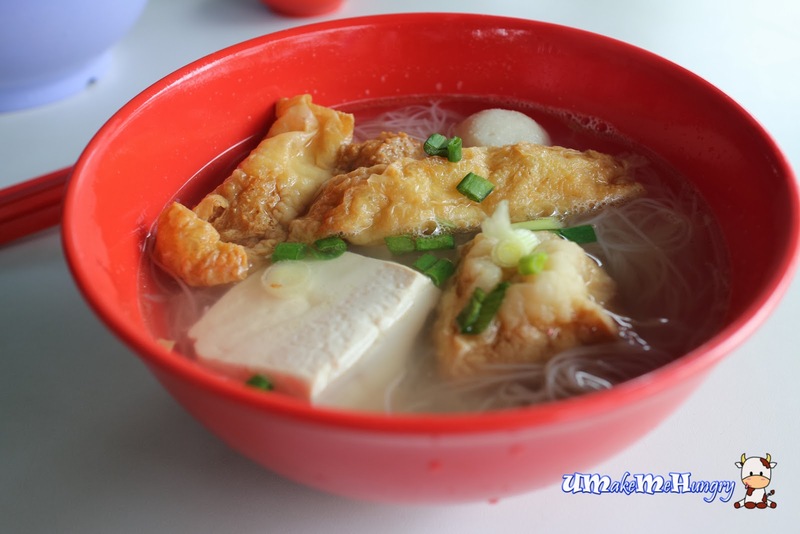 Following the Hakka style, the ingredients on the bowls are fixed with fish balls, fish paste in bean curd skin and tofu. Dip these into the mixture of chilli with sweet sauce and they are perfect to go! These ingredients were seen freshly prepared on the spot. The wobbly bean-curd cube tasted natural, smooth and totally to my liking. Fish ball was bouncy and sweet. 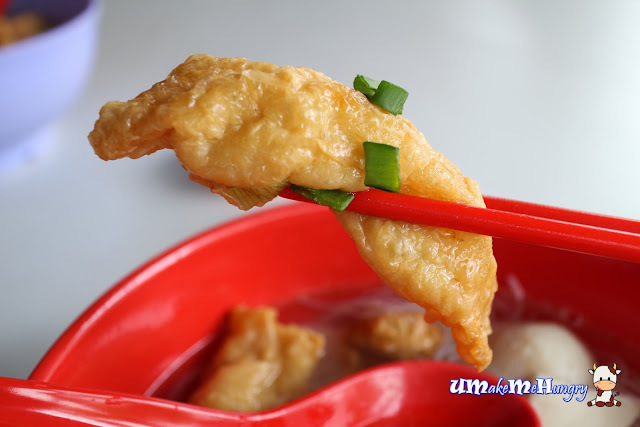 The stuffed beancurd skin pieces were delicious and malleable. Given the choice of handpicking the ingredients from most of the Yong Tao Hu Stalls, I still prefer these fixed items in a bowl. 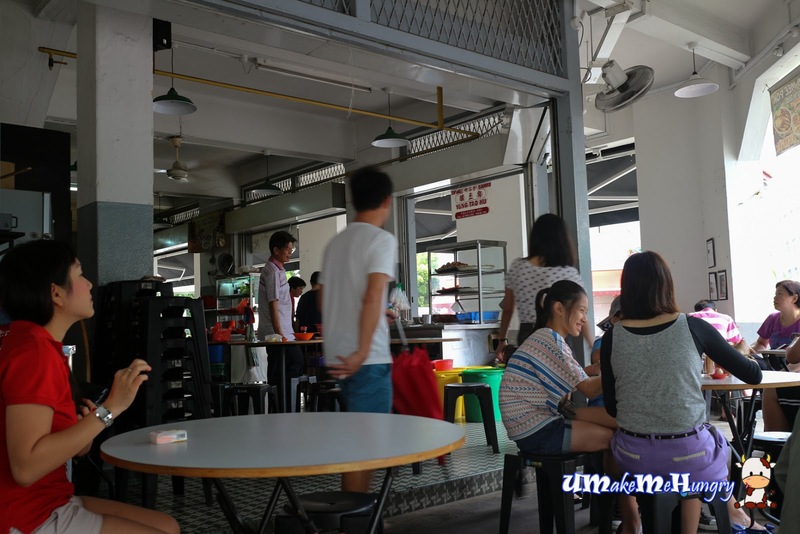 Tiong Bahru's servings were plain and straight forward, traditional, no frills and at a reasonable pricing.